Most often delicious food involves elaborate procedures and lots of calories. It is not always true but most often times it is. Malai refers to cream and koftas used to dunk in the cream is made of paneer and potatoes. This particular Moghalai dish is loaded with Paneer, cashews, cream and other ingredients that will definitely make people think twice before indulging in the pure magic of this highly addictive, wonderful tasting dish. It is definitely a time consuming process and I strongly believe that finding a shortcut or trying to reduce the calorie/fat content will ruin the extraordinary taste that the dish possesses. Indulging once in a while is worth the try. I made them for my daughters birthday and all my guests loved them. The menu for her birthday was~Nan,Tomato rice, Curd rice, Malai kofta, Achari Chicken, Raita and Malai Jamun. 1. Cook the potatoes, when cool peel the skin and mash and set aside. 2. In a food processor grate the paneer, carrots and on low speed grind the rest of the ingredients, ( I am glad I used the processor and not the mixer. The mixer tends to grind to a smooth paste). I recommend the processor but it is not compulsory. When using the mixer, grate the paneer and carrots separately in a grater. 3. Transfer the contents to a mixing bowl. Mix the potatoes and combine well. Set this aside. 4. Heat up oil in a pan/kadai and add the onions and sauté until soft. Now add the cumin and pepper and mix well for few minutes. Now add ginger garlic paste and sauté well for few more minutes. until it becomes a thick gravy. 5. Remove from heat and mix the cashews and paneer to it. Allow this to cool. When cool grind to a paste in a food processor along with raisins. I would again recommend the food processor since it tends to grind it to a nice creamy & coarse paste. 6. Add a cup of whole milk and 1/4 cup whipping cream and bring to a boil stirring consistently ensuring not to burn the gravy. The creamy gravy tends to burn at the bottom. Simmer for about five minutes again stirring consistently. Finally add kasuri methi. 7. Make small balls from the previously prepared kofta dough and dust them with some corn flour as show. 8. Now heat oil in a kadai/pan for deep frying. When hot simmer on medium heat and deep fry the prepared koftas to a nice brown color as shown. 9. Arrange the koftas in a wide baking tray as shown. 10. Pour the prepared gravy to the koftas and let it soak for about 10 to 15 minutes before serving. This is to soak the koftas a little. Make sure the gravy is warm when adding the koftas. TIPS: The kofta dough can be prepared a day ahead and refrigerated. Also the gravy can be prepared a day ahead. I have not added paneer to the masala before (while grinding), a little inspiration from Indira`s recipe turned out great. On the day when guests arrive, make balls and deep fry them. Heat up the gravy on medium heat and add the koftas 10 minutes before serving. The measurements make approximately 45 to 50 koftas. wowwwww!! !beautiful pic and click!! !tempting n yummy kofta...creamy curry! Beautiful clicks nd kofta dear....So tempting. Lovely dish and pics.... Looks yummy..
Agree with you; most shortcut recipes do not come upto mark. Plus this is not a daily dish! The step by step process looks neat! Malai kofta is my absolute favorite dish! I've only tried it once and it wasn't great. Your recipe and step-by-step instructions look great! And you're totally right...you have to indulge once in a while! This is one of my favs... these look so perfectly done! Yummy! 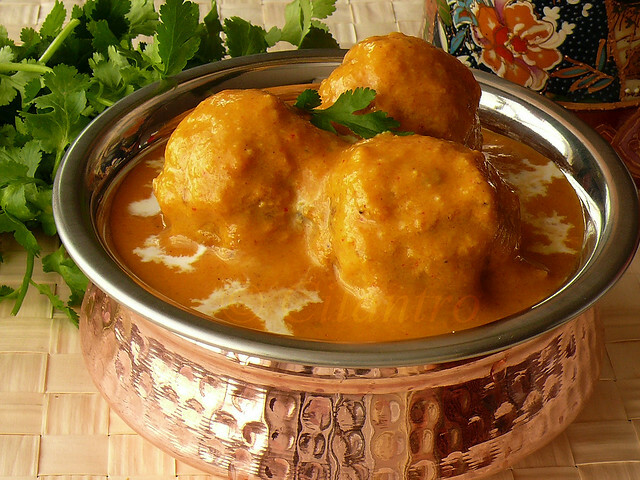 your malai kofta recipe makes me drool with the lovely step by step demo. Absolutely divine, droolworthy and inviting malai kofta, sooooo yummy..
Thats some good tips on making this dish for a crowd. this is a tough dish to pull off as there are so many steps to it. I have been planning for a while to try this dish,have to try it out soon,great click as usual! Nice step by step illustration,lovely prep...yummy! I am drooling all over it. What mouth watering pics, simply delicious. 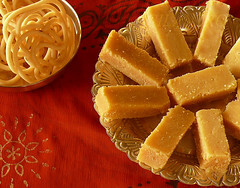 Looks absolutely yummy.. and my very very fav one ..I am drooling. This one is a great party food, they look gorgeous! 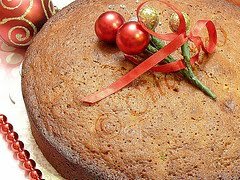 Another recipe loved by all of us! royal elgant and lip smacking good! W8in to try it out soon. Oh love :-) I make it quite the same way! Makes me want to make it now! look awesome! and thanks for the tutorial!